Crunchy roasted almonds are the perfect nut to carry the subtle savoury flavour, a light BBQ smoke that then rolls into a great rounded fresh chilli. A great snack or add to platters, rice dishes and salads. 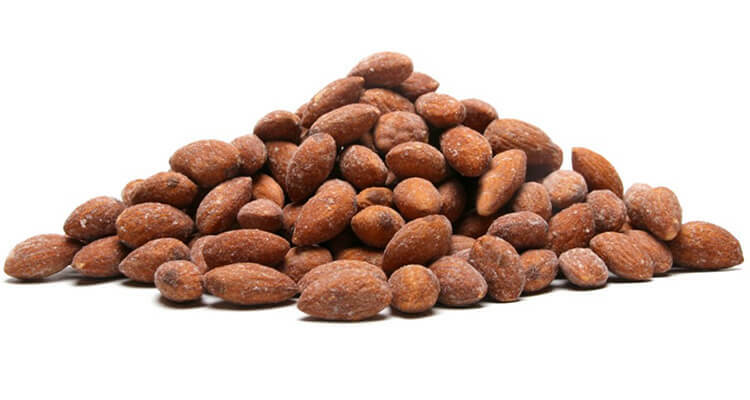 Almonds (96%), Smoked Chilli Flavour (Maltodextrin, Salt, Spices, Sugar, Vegetable Powder (Garlic, Onion), Smoked Dextrose, Natural Flavour, Yeast Extract), Acacia Gum.